Discussion in 'Appraisals' started by Nick_Mayhem, May 11, 2006. How do yahoo! backlinks and pagerank affect appraisala? Very nice guide, thx for it. the "10 points" threw me off tho i thought this was a scoring system! p_spyr How do yahoo! backlinks and pagerank affect appraisala? a domain with backlinks and pr is worth lots more because the site will have traffic and most likely lots of good organic traffic!witch some people will kill 4! and you can get lots more for ad space etc if you have good pr! $ = more revenue!=more value!=higher appraisal! a good domain name with page rank backlinks etc is like a good corner store vs the same store on a dead end street! the domain with back links is worth more because it has a chance for lots more shoppers being lots more people see the store on the corner vs the dead end st so the owner of the store on the dead end st. will have to spend more money and work more to get the same profit! i saw this post as i was posting wanted to give my 2cents! Well juhy is brandable bcoz In india it is very famous name. Next Yes I am the owner of most of the names that I have used in the article as an example. Because I didn't wanted some guy shouting at me for using his name as an example for this guide. Nice Appraisal guide. Sometimes some factors are considered by the buyers which look like that they value the domains they want to buy as higher than usual appraisal/ value. For example, an affluent person who grew up in a small town and he buy that town domain for a very high amount. I saw this couple of times. Great post, I think pagerank, number of backlinks, and alexa ranking can really make any domain profitable though. Yes its from the top to the bottom. 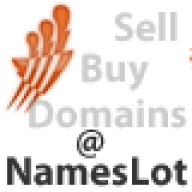 If I see a very good domain name then I just buy it. If I have doubts about its pronunciation or being a common word then I look for other reasons and at that time the backlinks and existing traffic does comes in play. and to add a tip for people.. don't register TM (trade mark) domains.. most enduser/reseller buyers avoid this and will probably just give legal problems in the future. On the monetization part, most advertiser sponsors doesn't like websites with TM names so its a bit hard to monetize. However, there's nothing that stops anyone to reg TM names. Secondly, indeed tm names is always a big confusion to go on with. However, it also depends on what you are actually promoting on that site and if you are doing it all legally. Do you guys think .mobi has no value anymore? It was such a hot commodity when it came out...but now I don't see it being used much.... please let me know what you think? Excellent posts and guidance, however I wonder how marketing is involved or, may I consider this bad luck? 6) Pronounceable <<< sounds nicely and can be pronounced by any occidental person as far as I know, who knows in Orient. 7) Brand able <<< not sure about this being a geographical location and a public placeon it. (thats 10 with 100 0's after it). Google was named after this, just given a name that the general public could spell easier. http://midflux.com offers quality domain appraisals at a fair price. You put a smile in my face mate. I like this one so much.that you send in your email. Wrong because I think it can sell for nice amount. Right because domainers who want to buy domains always wants to buy it at lower rates. And Many Thanks For You Help. because i just can't believe anyone will pay a lot of money for a domain with no seo value (just it's name maybe).